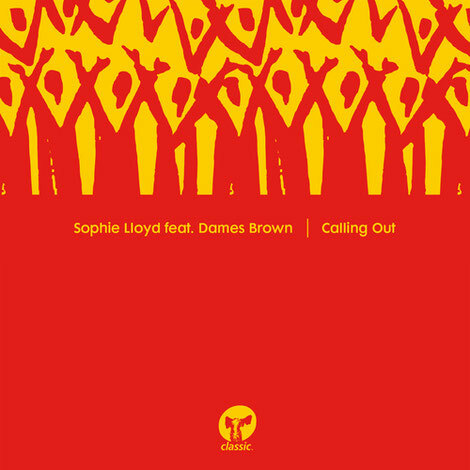 Sophie Lloyd’s ‘Calling Out’ is apparently a really special moment in Classic Music Company’s history and has become a bit of a phenomenon for the label. The 7” sold out continuously at the beginning of this year (now selling on Discogs for up to $50) and the 12” occupied the top spots in Juno’s best sellers list for almost two weeks. Now released digitally, the video is live too, featuring a cameo from Amp Fiddler, with a forthcoming digital remix package featuring the Floorplan mixes and more. Sophie Lloyd produced ‘Calling Out’ in a dreary January as an antidote to the pervading doom and gloom of the news, summoning the power of the most joy-filled sound of all, gospel. The track radiates all the live atmosphere of gospel worship in mid flow, with soul trio Dames Brown bringing the authenticity. The singers’ unbridled energy and vocal power is harnessed perfectly, supported by Sophie’s production that glows with the uplifting warmth of live instrumentation. Following a 7” release which sold out continuously due to huge demand, this digital release fills the ‘Calling Out' void while the 12” comes complete with the original version plus two brand new mixes from Floorplan. The duo of Detroit’s Robert Hood and his daughter Lyric Hood are well known for their gospel-infused sound with Hood’s hometown influences always apparent. Their Club Mix opens with a heavily swinging groove which breaks down into pure 4/4 indulgence, while the Revival Mix singles out the looped piano and organ riffs. Putting their assertive spin on this new Classic track, Floorplan turn up the levels on ‘Calling Out’.